It's not easy to be 28 year old detective Robert Bogerud. 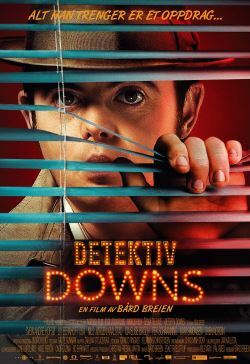 He is the only detective in the country with Downs syndrome. He has own office, a trench-coat and a Bogart-hat. He is ready - all he needs is his first case. Not even his father, a policeman, believes in Robert. One morning a mysterious lady turns up at his office. The skating legend Olav Stjernen has disappeared, and the family fears the worst. The reality is that they are in desperate need for an incompetent detective to please Olav Stjernens senile and awfully rich mother. Robert is the perfect man for the job! The family's secrets are far more dangerous than Robert expects, and with his own life on stake he sets out to get the truth. Maybe Robert is not so stupid as everyone thought?